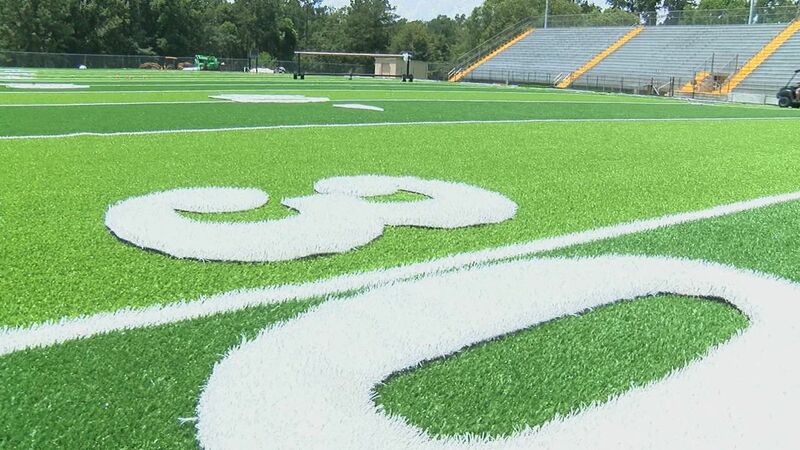 TALLAHASSEE, Fla. (WTXL) — The next three years of Florida High School Football State Championships for classes 1A-3A will be hosted at Gene Cox Stadium in Tallahassee. The Florida High School Athletic Association announced Friday that the 2019, 2020 and 2021 state championships for classes 1A-3A will take place at Gene Cox Stadium in Tallahassee. Classes 4A-8A will play their championships at Daytona Stadium in Daytona Beach. Thursday, Dec. 5 Gene Cox Stadium Tallahassee Class TBD (1A-3A) 7:30 p.m.
Friday, Dec. 6 Gene Cox Stadium Tallahassee Class TBD (1A-3A) 7:30 p.m.
Saturday, Dec. 7 Gene Cox Stadium Tallahassee Class TBD (1A-3A) 7:30 p.m.
Wednesday, Dec. 11 Daytona Stadium Daytona Beach Class TBD (4A-8A) 7 p.m.
Thursday, Dec. 12 Daytona Stadium Daytona Beach Class TBD (4A-8A) 7 p.m.
Friday, Dec. 13 Daytona Stadium Daytona Beach Class TBD (4A-8A) 7 p.m.
Saturday, Dec. 14 Daytona Stadium Daytona Beach Class TBD (4A-8A), Class TBD (4A-8A) 1 p.m., 7 p.m.
Gene Cox Stadium has recently undergone an $800,000 renovation featuring installations of completely new field turf and a pair of HD video boards. The stadium, which features a capacity 6,500, has previously played host to the 1986 Class 3A State Championship Game between Tallahassee Godby and Clewiston.